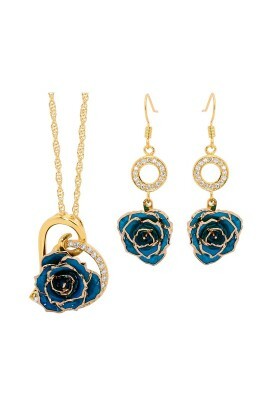 Below is our full range of award winning jewelry. 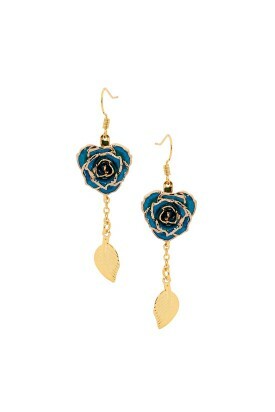 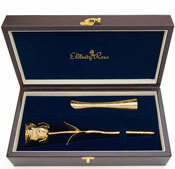 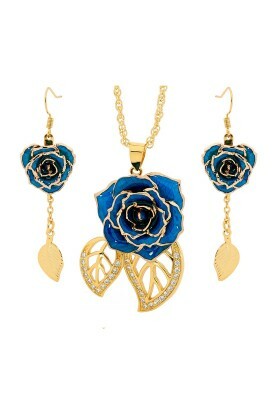 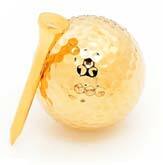 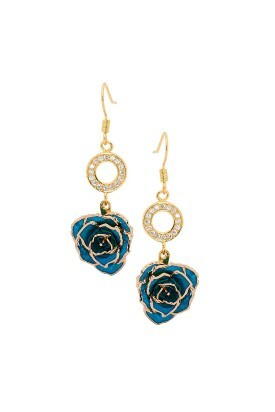 Each piece includes a miniature rose bud made from glazed natural rose petals, which are gold-trimmed. 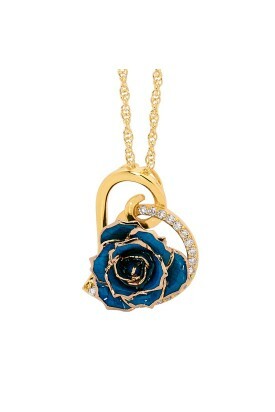 Most pieces have inlaid synthetic diamonds for that added sparkle. 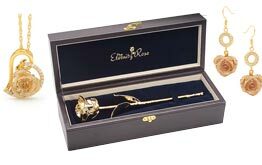 All are finished in 24k gold. 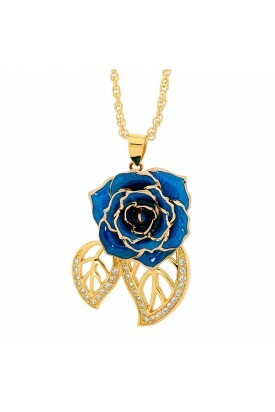 There are two types of pendants - one that includes two leaf figurines; the other is in the shape of a heart. 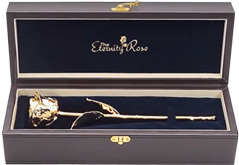 The detail and finish is exquisite and all pieces come with a lifetime warranty and certificate of authenticity. 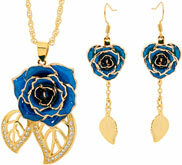 All items are available in 5 natural rose petal colors.